Hire the top 3% of freelance C# developers. Toptal is a marketplace for top C# developers, engineers, programmers, coders, architects, and consultants. Top companies and start-ups choose Toptal C# freelancers for their mission-critical software projects. C# came in as a new kid on the block. At first it was ignored, then it was ridiculed, and then it was fought against, but now it continues to win over developers all over the world. The direct result of this growth is a large number of developers that are using C#. This guide covers topics that every C# developer needs to have mastered, and is essential when making your next hire. Toptal is a marketplace for top C# developers, engineers, programmers, coders, architects, and consultants. Top companies and start-ups choose Toptal freelancers for their mission-critical software projects. Konstantin has 9+ years of software engineering experience, including a number of great jobs working with big companies and many jobs with startup companies and medium-sized mobile and web agencies. Over the past few years, he has been developing web solutions for the automation of business processes using C# and ASP.NET MVC or Java with Play! Framework and various front-end frameworks (e.g., jQuery, AngularJS, Knockout.js, TypeScript, etc.). Charles has a Ph.D. in aerospace engineering and spent three years developing custom data processing and analysis programs for NASA. He specializes in scalable, enterprise-level application development and engineering solutions for exceptionally high throughputs. He is also the founder and owner of GreatVocab.com, for which he developed the core system using novel concepts in data analysis and control theory. Richard Rozsa offers a vision of data as a self formatting entity. For more than 30 years, he's delivered top quality technical architecture, programming, testing and solutions for complex problems--on-time and within budget. He's extremely flexible and able to integrate as a standalone freelancer or within teams. Johan is a mobile app and cloud back-end developer with over 15 years of experience. He's been telecommuting for startups in the USA since 2010. He has worked with enterprise stacks for a number of years, but more recently his primary focus has been on building native apps for mobile and desktop (Mac, iOS, Android and Windows) using Swift, Objective-C, Java, Kotlin, and C#. He also builds his own RESTful back-ends with Rails, Node, and Golang. Mike is a software architect and developer with over 25 years of experience developing large-scale mission-critical systems. He currently specializes in Java/J2EE development, C++/C development, and embedded systems for the IoT. He is an internationally recognized expert in the area of lottery gaming systems. He has been delivering solutions employing geographically diverse teams for the past 16 years. As a veteran full-stack developer, John's great breadth and depth of experience include cryptocurrency, IoT, Blockchain, and mobile projects. His foundation is in C and C++ with many years of experience in .NET. His work experience up until 2009 was in the NYC and NYC area; since 2009, he's been living abroad and working remotely. Currently, finishing up a brief hiatus to study Blockchain and smart contract development. Victor is a seasoned developer with over 20 years of experience focusing on the Microsoft technology stack. 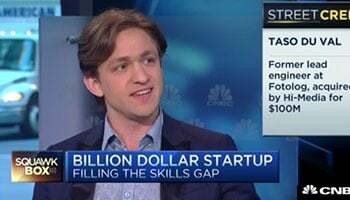 He can work a wide range of software domains, including web apps, back-end services, databases, mobile apps, and most recently, AI. He can provide an extensive experience both as team lead as well as an architect; he's also happy to work on a business-facing role where he can give his soft skills good use. Richard has worked at a broad range of companies from small startups to large multinationals with often overlapping roles of software developer, quantitative analyst, and financial market professional. He is comfortable with all aspects of software development, from writing efficient algorithms and data structures and designing full system architectures to managing and improving interfaces with legacy code. Dmitry is a senior .NET and C# developer with over fifteen years of experience in creating web applications. He has received the Microsoft MVP (Visual C#) Award seven times since 2008 and is a capable team leader. Dmitry has also received master of science degrees in computer science and in structural geology and modeling. Clients call him "The Coding Machine." Remember the Y2K bug? Apparently, the world was supposed to end due to havoc in computer networks all over the planet. Just one year before that, we heard announcements that 1999 will mark the end of the world because it had an inverted 666 in its name. In such turbulent times, when many were piling food in their basements, hoping that Armageddon would not find them, there were a few visionaries that were still inventing some cool stuff. One of them is Anders Hejlsberg, who gathered a team of Microsoft developers and created Cool, which was the first version of new C-like Object Oriented Language, later to be named C#. 14 years and 5 versions later, C# is one of the most popular languages in the industry. Despite the fact that James Gosling and Bill Joy stated that C# was just an imitation of Java, while some other critics even called C# a boring repetition that lacks innovation, C# is now standing tall next to all the other platforms used by millions of developers all over the world. C# is a multi-paradigm programming language encompassing strong typing, as well as imperative, declarative, functional, generic, object-oriented (class-based), and component-oriented programming disciplines. You can use it to build any type of application, whether it is a service, console, desktop, web or even smartphone application. Each application type requires a specific set of skills on top of standard C# syntax, and finding a great C# developer is not an easy task. If you are looking for a web developer you should expect knowledge of the HTTP protocol, Web Forms, MVC Framework and Razor View Engine, while some other application will have its own challenges. This article should help you identify a developer that understands C# in its core. Regardless on the application type, techniques and tips mentioned below should be universal to all C# developers and they should all be able to demonstrate extensive understanding of these topics. I’ll try to cover general topics that every developer must be aware of. The purpose of this article is to point to several specific topics. Evaluating knowledge of each of them in depth would require much more than one or two questions. Generics were one of the earliest features of the C# language. Generics make it possible to design classes and methods that defer the specification of one or more types until the class or method is declared and instantiated by client code. Optimize the code in a way to replace DeveloperList and IntegerList with one class named GenericList that will contain single doSomething method. Make sure to handle the case when GenericList is instantiated by an unexpected type. LINQ (Language-Integrated Query) is one of the coolest features in C#. It was introduced in Visual Studio 2008 and it provides extremely powerful query capabilities to C#. LINQ introduces standard patterns for querying and updating data supporting any kind of data store. Or, in simple words, LINQ enables SQL-like queries against collections of objects in C#. Write a code that would extract all developers that have the “SQL” skill, from a List<Developer> developers. Even though this is a technically correct solution, it would be less desirable due to the complexity of the code. Lambda expressions are methods that do not require declaration. These are function that are implemented “in-line” with the rest of the code. Lambda expressions are particularly helpful for writing LINQ query expressions. To create a lambda expression, you specify input parameters (if any) on the left side of the lambda operator =>, and you put the expression or statement block on the other side. For example, the lambda expression x => x * x specifies a parameter named x and returns the value of x squared. Q: Complete the following code by implementing the methods Square and Double based on the Calculate delegate and lambda expressions. The Calculate delegate is declared to return Int and accept one Int as a parameter, so Square and Double methods just implemented the proper calculations. Named arguments free you from the need to remember or to look up the order of parameters in the parameter lists of called methods. The parameter for each argument can be specified by parameter name. Changing the order of parameters passed to the Power method would produce a different result; 64 one way, versus 81 the other. Q: Update the code above to produce same result (4 to power of 3 = 64) regardless of the order of parameters passed to the Power method. The solution for this problem is to pass named parameters. You would have to change the way you call Power. The only thing you needed to do is add an argument name when passing in the values. The definition of a method, constructor, indexer, or delegate can specify that its parameters are required or that they are optional. Any call must provide arguments for all required parameters, but can omit arguments for optional parameters. Each optional parameter has a default value as part of its definition. If no argument is sent for that parameter, the default value is used. Optional parameters are defined at the end of the parameter list, after any required parameters. If the caller provides an argument for any one of a succession of optional parameters, it must provide arguments for all preceding optional parameters. Comma-separated gaps in the argument list are not supported. Q: Extend the Developer class with a boolean property named Enabled and a constructor that will accept name and the optional enabled value. Asynchrony is essential for activities that are potentially blocking, such as when your application accesses network resources. Access to a network resource sometimes is slow or delayed. If such an activity is blocking a synchronous process, the entire application must wait. In an asynchronous process, the application can continue with other work that doesn’t depend on the network resource until the potentially blocking task finishes. Visual Studio 2012 introduced a simplified approach, async programming, that leverages asynchronous support in the .NET Framework 4.5 and the Windows Runtime. The compiler does the difficult work that the developer used to do, and your application retains a logical structure that resembles synchronous code. As a result, you get all the advantages of asynchronous programming with a fraction of the effort. The async and await keywords in C# are the heart of async programming. By using those two keywords, you can use resources in the .NET Framework or the Windows Runtime to create an asynchronous method almost as easily as you create a synchronous method. Asynchronous methods that you define by using async and await are referred to as async methods. The following example shows an async method. Q: What would be the output of the following code? Explain your answer. Note: The first “Delayed” will show up after a delay of one second. The reason for this is in the way async methods are handled in C#, and the difference between Task.Delay and Thread.Sleep. The SayAwaited method will execute like any other method until it reaches the await command. At this point, C# will start another thread for executing Task.Delay on the new thread, while releasing current thread to proceed with next action, which is SayDelayed. After putting the main thread to sleep for one second, SayDelayed will set the value for the statement and execution will proceed with the remaining commands, WriteLine and ReadLine. While this is all happening, SayAwaited will be nicely paused in its own thread, and after 5 seconds it will set statement to “Awaited”, produce its own output, and return. Q: Would there be any difference if statement = "Awaited" would be execute before await command? Explain your answer. The reason for this is that the “Awaited” value is assigned to statement before the await command is called. By the time Console.WriteLine(statement); in SayAwaited is executed, the value of statement has already been updated by the SayDelayed method. C# came in as a new kid on the block. At first it was ignored, then it was ridiculed, then it was fought against. Now it continues to win over developers all over the world. The direct result of this growth is the large number of developers that are using C#. This article referenced topics that every C# developer should master. 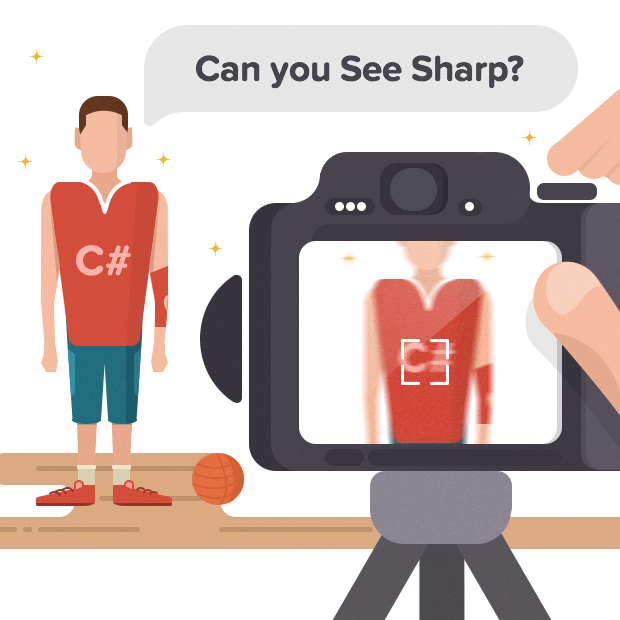 Make sure to cover these topic when you are looking for a great C# developer, and you will be one step closer to identifying the best of the best. See also: Toptal’s growing, community-driven list of essential C# interview questions.